Permanent Green LLC, 9780997442304, 324pp. From the salt marshes and moss-draped live oaks of the South Carolina Lowcountry to the New York art world, Clear Seeing Place takes the reader behind the studio door to explore the making of a painter in intimate detail. Brimming with the joy of process and a love of art history, Brian Rutenberg reveals the places, people, and experiences that led to the paint­ings for which he is well known today. This book is packed with ideas, observations, techniques, and career advice all thought­fully arranged into six sections designed to inspire artists of all levels, as well as anyone interested in creativity. 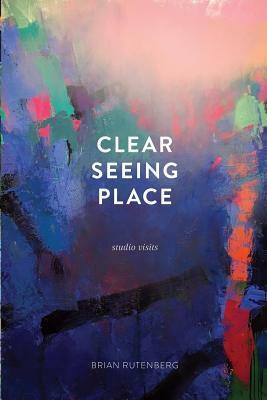 Clear Seeing Place is a companion to the artist's popular YouTube series, "Brian Rutenberg Studio Visits," and is a love letter to painting written by a painter.